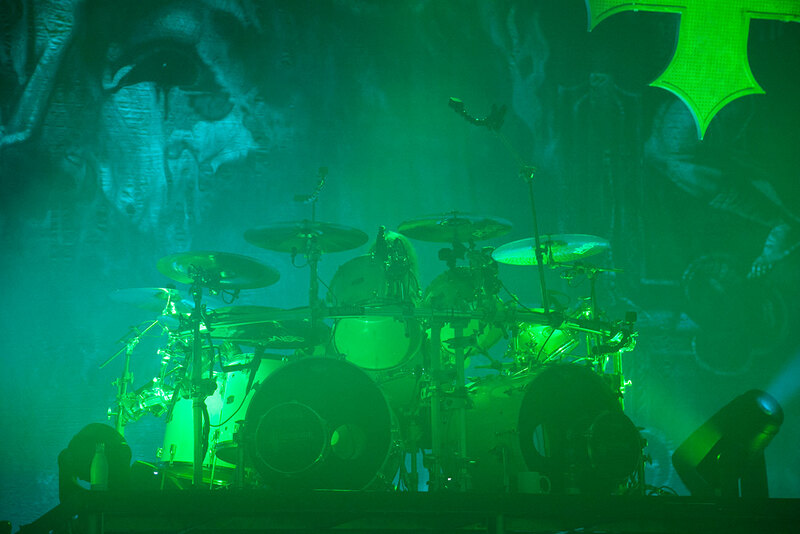 Slayer’s show in Danish city of Elsinore, market 32 years since the release of their debut … to the day. 32 years is a long time and a lot has happened since, nonetheless in past few years, where band’s main songwriter Jeff Hannman passed away and one of trash metal’s fines drummers Dave Lombardo left the band again. But six years since the release of their previous album Slayer are back with a brand new extremely solid new album Repentless. My, somewhat low expectations for the album were put to shame and I was looking forward to experiencing the new tunes live. 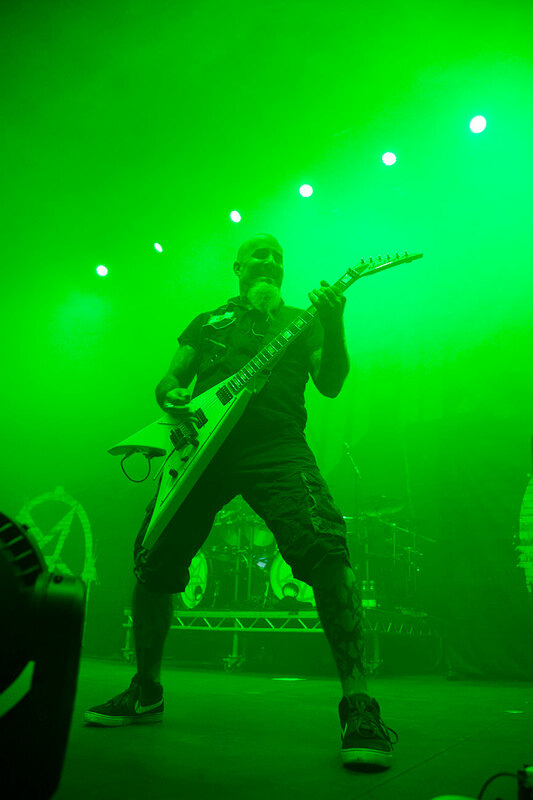 If that wasn’t enough, Slayer have hooked up with Anthrax for their European tour. Half of The Big Four was in Denmark joined by the local underground heroes in Helhorse. Some 20 minutes late Helhorse took the stage with massive portion of energy and enthusiasm, but unfortunately also weak sound and just too much smoke to serve any purpose. Danes were received somewhat lukewarm, but the otherwise faitly big crowd. Thre friends and family in the crowd did theiir best to get the crowd going, but little did it help. 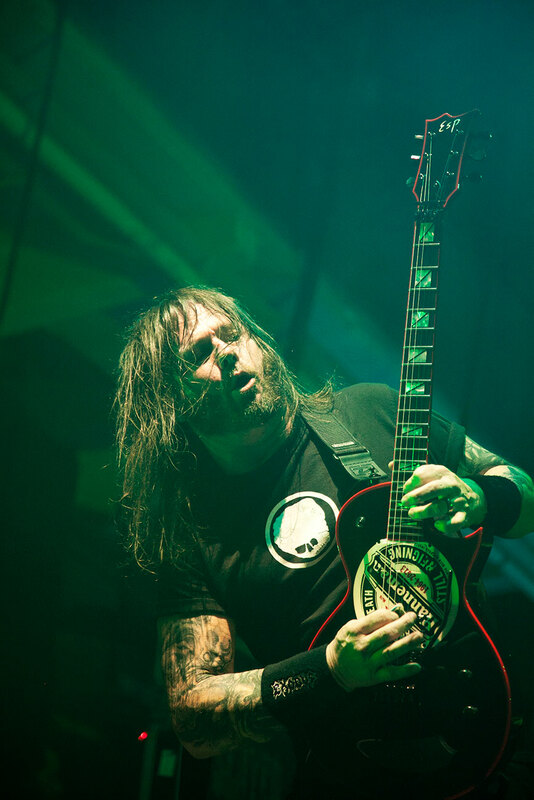 What did help, however, was the massive riffing and undeniable frontman-energy from the band’s singer Mikkel Wad Larsen. 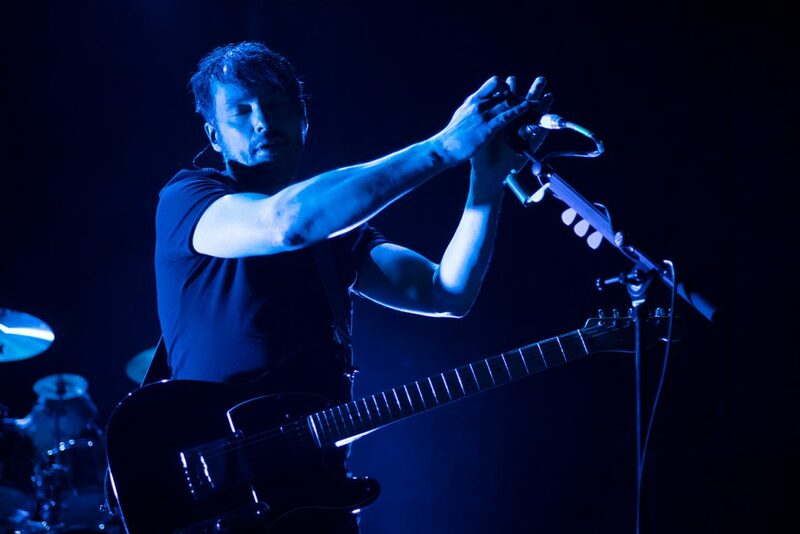 With a good portion of charm and down-to earth approach the band won parts of the crowd, but never to a degree where it made a big difference for the overall experience of the gig. I enjoy Helhorse’s music and these opening gigs for the likes oc AC/DC and Slayer are deffinately good for them. I’d still preffere to see them at one of their many club gigs, buceaise with this kind of music and this kind of approach I’m sure that that’s where they shine the most. 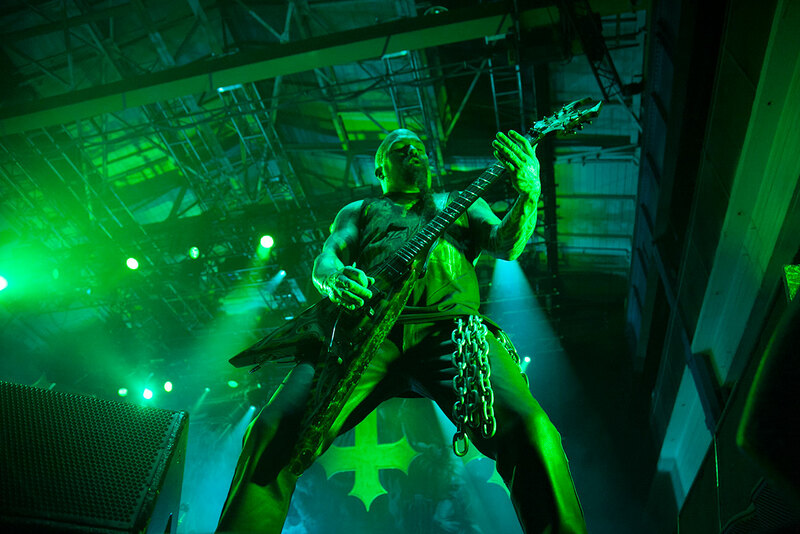 One fo the great sideffects of The Big Four tour in 2010 is that it resutled in number of tours consisting of two or three of the bands as well as some of the bands that didn’t quite make into The Big Four list. This evening’s concert is part of the European tour where Slayer are headliners, but Anthrax comes as close to co-headliner as posible. That’s also why they got to play for an entire hour. True to tradition they opened with “Caught in a Mosh” and followed it with the ultimate song-numer-two Cover of Joe Jackson’s “Got the Time”. They too suffered from too much smoke on the stage and a sound that was hazy. 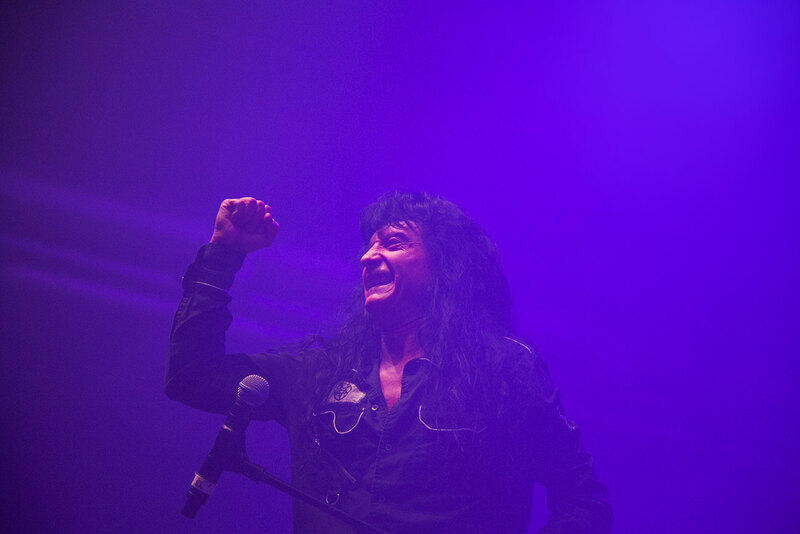 They didn’t lack the energy and Especially Joey Belladonna’s energy overload got the crowd going. Massive sing-along during “Madhouse” and just action allover during another cover “Antisocial”. This Trus cover has long been Anthax-classic, but the minor changes in arrangements for the live performance of the song give it even more enrgy and flow then the original. Charlie Bennante was once again abcent and when that happens, he’s replaced by John Dette, who’s just moster behind the drums, giving the songs bit more of a punch. 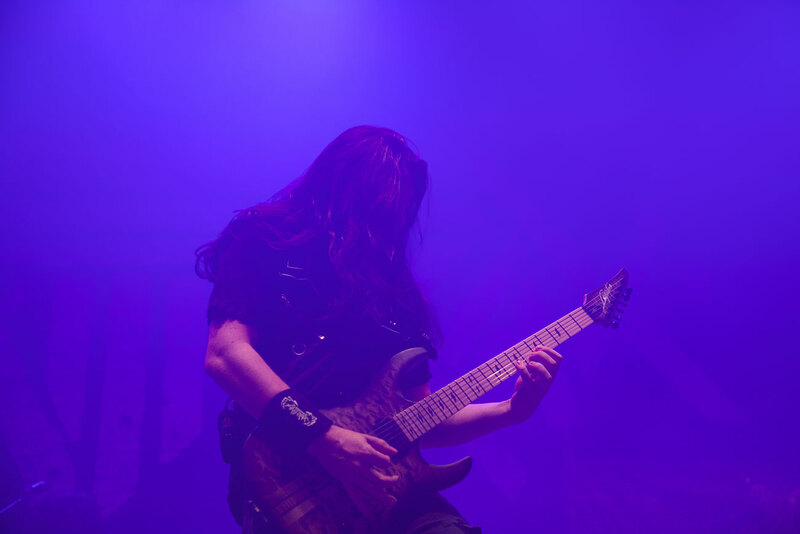 New guitarist Jonathan Donais’ playing is spot-on with more feel that that of his predecessor Rob Caggiano. As such his playing reminds more of Dan Spitz’s which is a good thing, especially during the leads. Belladonna a bomb of positive and bouncing energy. You can’t look at the guy and not smile. Setlist was very predictable, but with an hour worth of songs you have to prioritize. 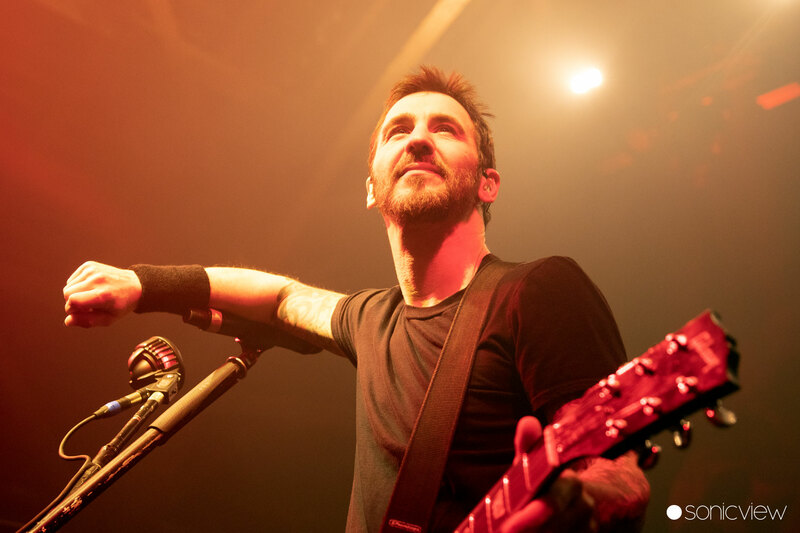 Classics like “Antisocial” and “Indians” were as usually the highlights, but “Fight ‘em ‘till You Can’t” from their previous album has already now become a true Anthrax live classic and served as well as one of the highlights of the evening. 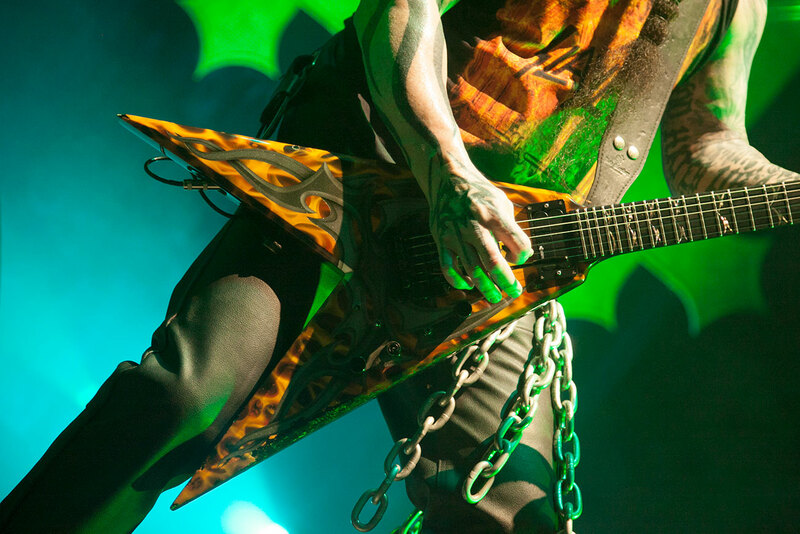 New song “Evil Twin” failed to impress much like it does in the studio version. 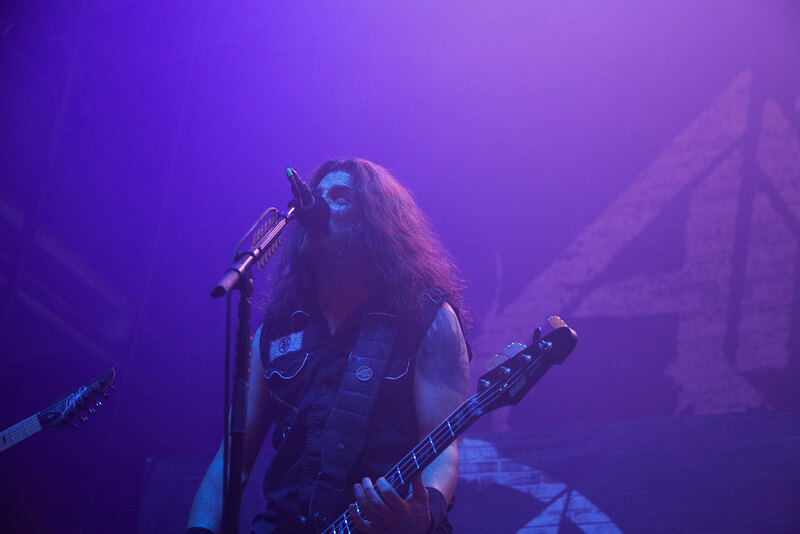 Anthrax proved yet again that they essentially are unable of playing a bad gig. 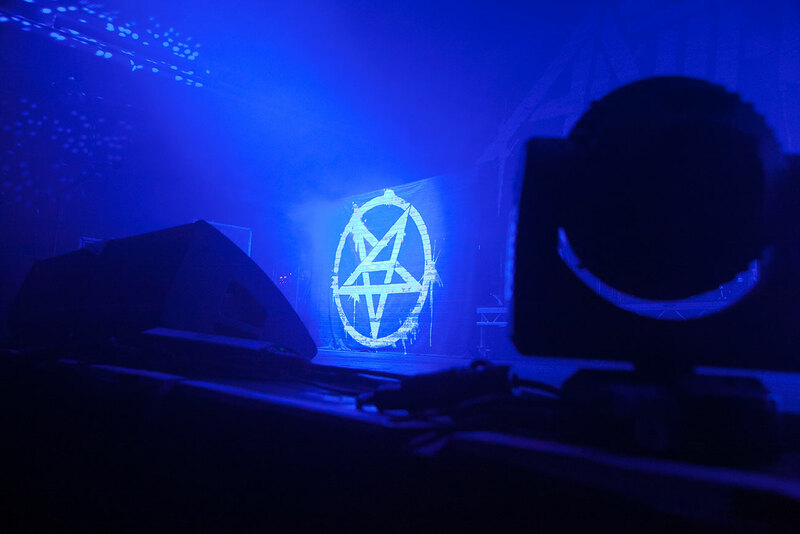 In Despite being the part of the same movement, Anthrax and Slayer are very different band, especially when it comes to live performance and that’s one of the great things about this tour – you get two great live bands that amaze in very different ways. 08 – March of S.O.D. 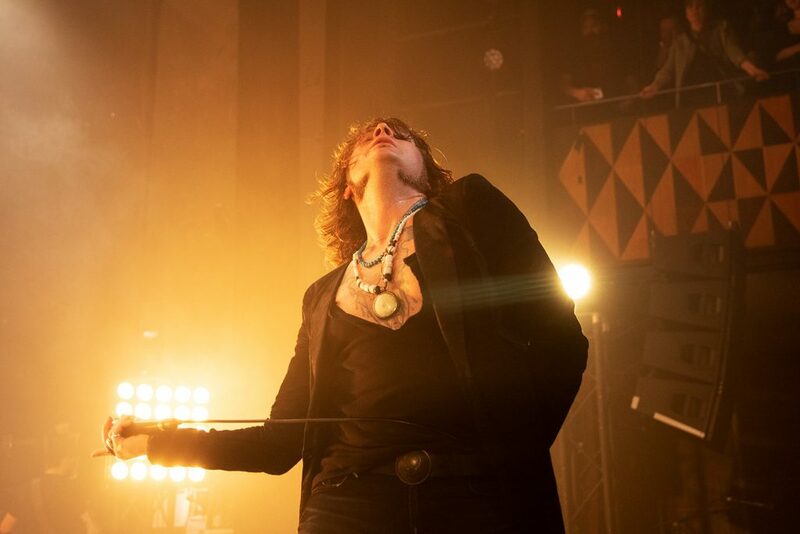 The 20-minute delay of first two gigs didn’t affect the main band, who took the stage as planed, taking most of the people by surprise while they were in a line for beer or toilets. 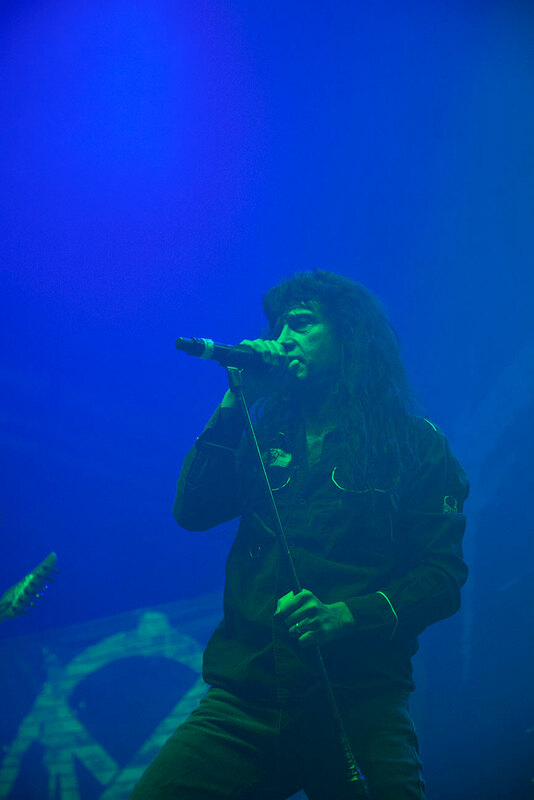 Behind the big white curtain the band took the stage to the tones of the “Delusions of Saviour”, the intro from the new album, which was followed by the fiercely opener “Repentless”. The response to it and the good sound at Kulturværftet was almost overwhelming. 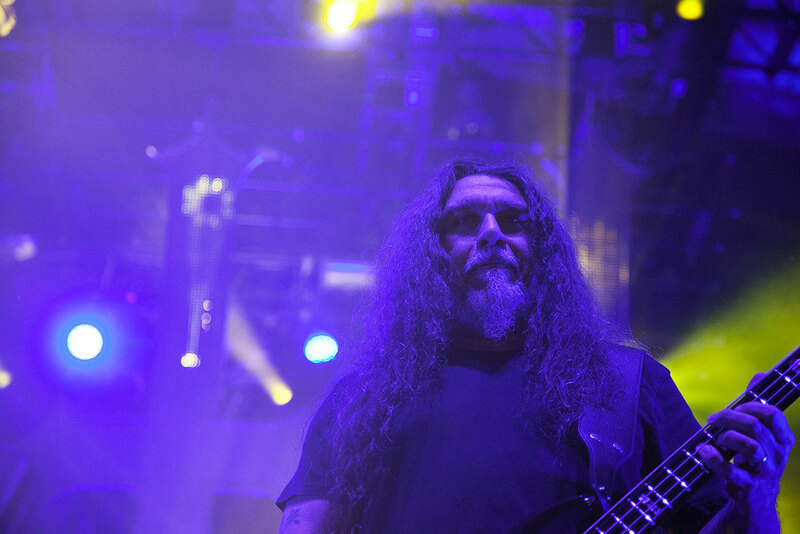 Did we just witness the welding of a new Slayer live-classic? Kulturværftet is basically the old shipyard hall and as such fitting to this sort of concerts. It was not sold out, but well filled with some 2000 people. Still the size of the stage didn’t allow Slayer to include their massive video screen and I find it to be a good thing. Let’s face it Slayers video visuals were never that good, and the eminent lightning, four mobile upside-down crosses and cool backdrops made for a perfect stripped-down setting and perhaps the best looking Slayer show I’ve attended. 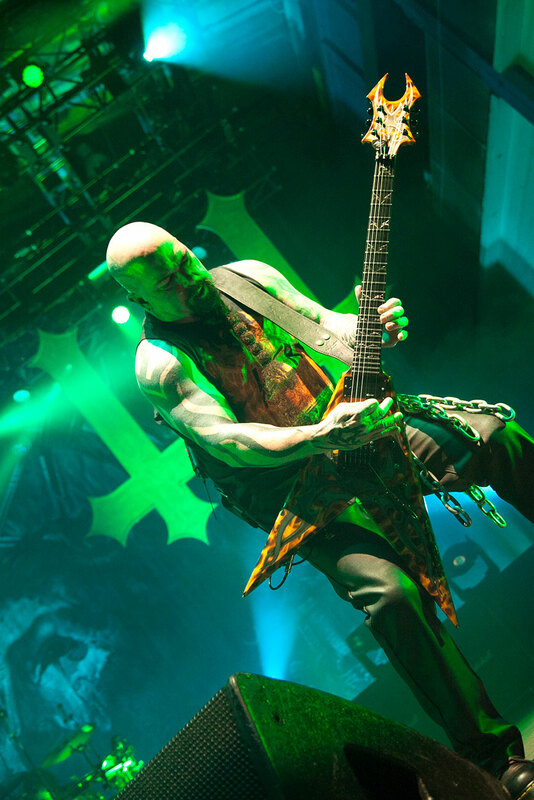 Sound was good from the start, but better balance between Kerry King’s and Gary Holt’s guitar would have been good, especially during the solos and nonetheless during that intro of “Season’s in the Abyss”. At times some “holes” in sound would appear, but never enough to affect the show in a truly negative way. This did however appear during some of the key-parts of key-songs. 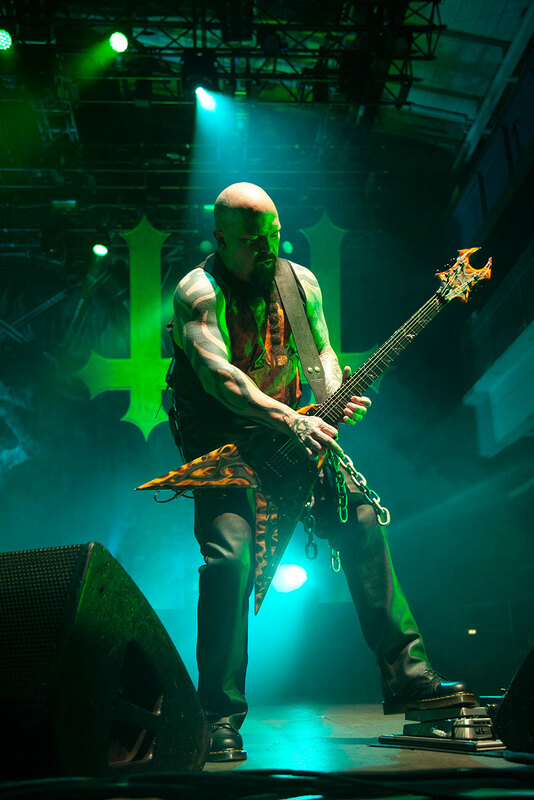 The current line-up of Slayer has proven itself live time and time again. No matter the pedestal-like opinion I have of Lombardo and Hennman, no one can deny the quality and the way Hold and Paul Bostaph have gelled in the band. 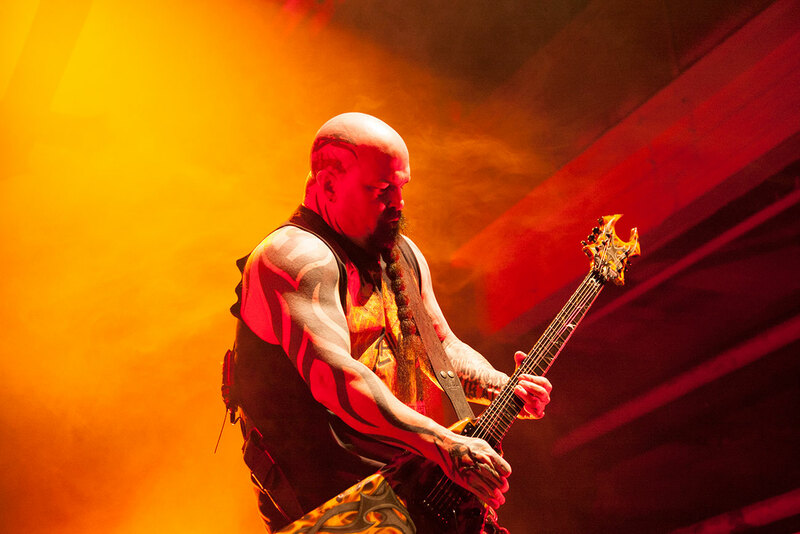 The massive force only Slayer knows how to deliver was for the most part matched by the eager crowd. In the middle of the show, however, the energy level did drop some, only to return even more convincingly during the last seven songs. “Dead Skin Mask” is even better live and it’s truly a sing-and-dance Slayer song. Yes I did just say that. 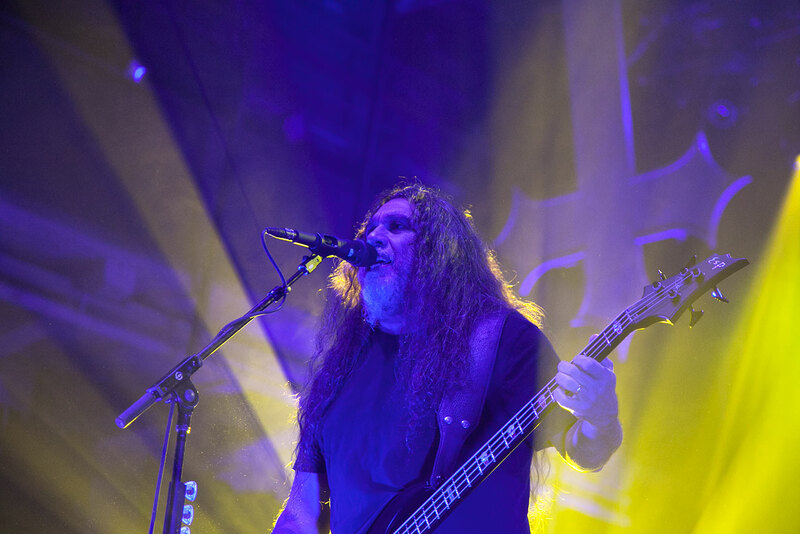 To close a show with “South of Heaven”” Raining Blood” and Angel of Death” is perhaps the massive blow, which made it hard for anyone to complain about concert ending. 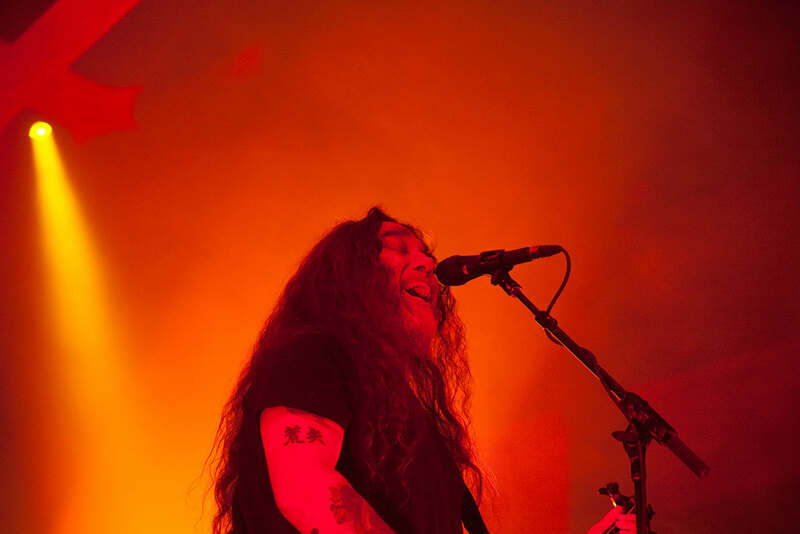 Slayer anno 2015 is a tremendously concrete band, which has overcome some colossal obstacles in just about all the aspects. 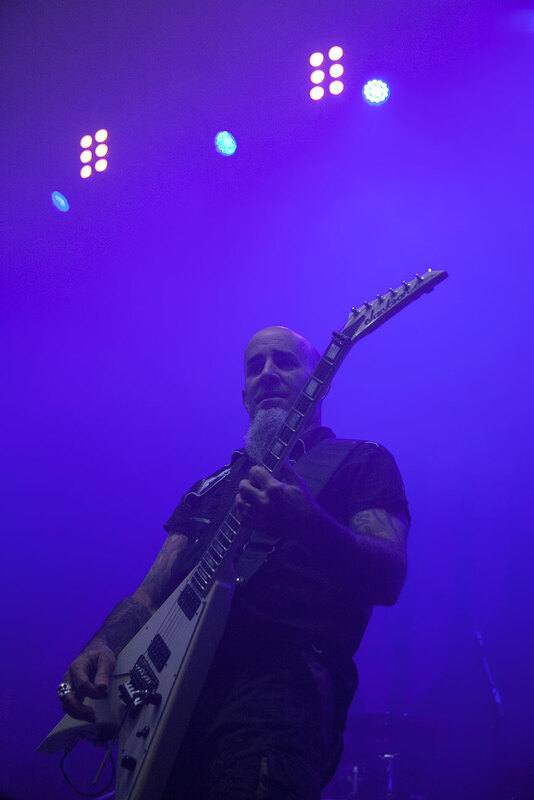 Teaming up with Anthrax for the tour served as an extra treat for the crowd, not just because of it’s quality, but also diversity.